Former Chrysler LLC President Tom LaSorda has joined Penske Automotive Group to advise the retailer on a possible bid for General Motors Saturn brand. Anthony Pordon, a spokesman for the second-largest U.S. dealership group, confirmed a Bloomberg News report saying LaSorda has been hired as a consultant. Penske Corp. Chairman Roger Penske said two weeks ago that his company is looking at the future opportunities of the Saturn brand but hadnt made a bid. LaSorda, 54, left Chrysler after it filed for bankruptcy protection on April 30. GM, facing a probable Chapter 11 itself on June 1, is trying to shed Saturn, Saab and Hummer as it battles to survive. Its also exploring the sale of its European Opel unit. Magna International Inc. is among the suitors for that business, as is Fiat S.p.A., the Italian automaker that has formed an alliance with Chrysler. Michigan dealers Joe Serra and David Fischer are also discussing a partnership with Penske regarding Saturn, The Detroit News reported Wednesday, citing people familiar with the talks. Serra declined to comment on the report. He is president of Serra Automotive Inc., of Grand Blanc. The dealership group has 21 stores, including Saturn outlets, in Michigan, Colorado, New Jersey, Tennessee, Ohio and California. It ranks No. 15 on the Automotive News list of top 125 U.S. dealership groups, with sales of 21,509 new vehicles in 2008. 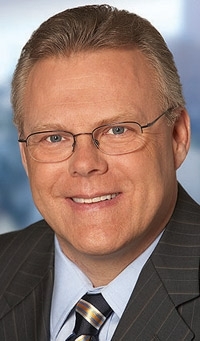 Fischer is CEO of the 35-store Suburban Collection outside Detroit, which includes seven Saturn stores. Suburban Collection, with locations in Michigan and Florida, ranks 13th on the Automotive News list, with sales of 27,450 new vehicles last year. Fischer did not immediately return a call requesting comment. Telesto Ventures, an investor group that includes private equity firm Black Oak Partners LLC, has also said it wants to buy the Saturn brand. GM has confirmed talks with the Oklahoma City group. In addition, The Wall Street Journal, citing unnamed sources, has said Carlos Ghosns Nissan-Renault is negotiating to buy Saturn. Also citing sources, Bloomberg reported Nissan may consider partnering with Penske to run Saturn. Ghosn, CEO of Nissan and Renault, has said he is not negotiating with GM about Saturn, although he did not directly deny either report. Magna, North Americas largest auto-parts supplier, is also talking to GM about Saturn, Bloomberg reported, citing people familiar with the situation. Magna called such reports "erroneous," saying in a statement Wednesday that it's not talking to GM about a purchase of Saturn. Robert Sherefkin contributed to this report.